Manuel Lima is a leading voice on information visualization and a frequent speaker in conferences and schools around the world, including TED, Lift, OFFF, Reboot, VizThink, IxDA Interaction, Royal College of Art, ENSAD Paris, University of Amsterdam, and MediaLab Prado Madrid. 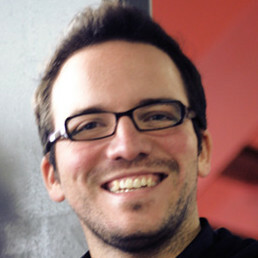 A Fellow of the Royal Society of Arts, nominated by Creativity magazine as "one of the 50 most creative and influential minds of 2009", Manuel Lima is a Senior UX Design Lead at Microsoft Bing and founder of VisualComplexity.com. Manuel has worked as a Senior User Experience Designer at Nokia and Senior Interaction Designer at the leading digital agency R/GA and has worked for Siemens Corporate Research Center, the American Museum of Moving Image and Parsons Institute for Information Mapping. He holds a BFA in Industrial Design and a MFA in Design & Technology from Parsons School of Design, New York.